BIAN is in partnership with independent standards bodies such as Object Management Group (OMG) and The Open Group. In addition, BIAN has a ‘category D liaison’ with the International Organisation for Standardisation (ISO), for ISO 20022 semantic models. BIAN incorporates when possible the work of these organizations. 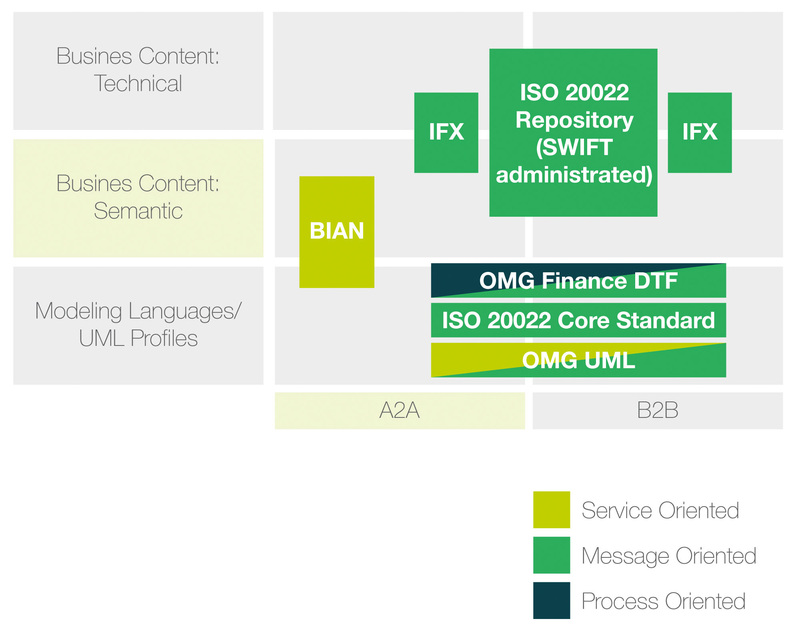 As an example, the BIAN Metamodel is closely aligned to, and draws on parts of, the ISO20022 Meta Model for many of the detailed definitional aspects. These working partnerships mark a big step forward in BIAN’s commitment to complimentary standards collaboration.